Author Tess Hardwick assembles a colorful cast of endearing small-town characters and takes you on a journey that will make you believe in the possibilities of life - even in the face of overwhelming adversity and unimaginable grief .Lee Tucker is the kind of woman you find yourself rooting for long after the last page is read. When her husband commits suicide, he leaves her pregnant and one million dollars in debt to a loan shark. Out of options, she escapes to her deceased mother's dilapidated house located in a small Oregon town that, like her, is financially ruined, heartbroken and in desperate need of a fresh start. Lee's resilience leads to a plan for a destination restaurant named Riversong, to new chances for passion and love, and to danger from her dead husband's debt as her business blooms.A surprising mix of romance, humor, friendship, intrigue and gourmet food, Riversong entertains while reminding you of life's greatest gifts. Just finished this novel last night and I'm still processing it a little bit, but here goes. Lee grew up rough - her mom was a neglectful alcoholic and Lee basically raised herself. She couldn't wait to leave her hometown and escape to adulthood. Years later when her husband commits suicide and leaves her with an outrageous amount of debt she runs back to her hometown to hide out. There are a lot of good aspects to this novel. Lee is a character that everyone seems to want to take care of. In some ways that is good, but in other ways I'd say it isn't. She's pregnant - maybe that's it. And she was neglected as a child - maybe everyone is trying to make up for not helping her then - when she really needed it. Whatever. People want to help her. I like the love story between Lee and Tommy. Mostly. I like the relationship between Lee and Ellen. Mostly. Another reviewer said that this story is just too unbelievable. In a way that is true. There are aspects of it that are a bit farfetched. But I don't think they are SO farfetched as to make the book unenjoyable. That same reviewer also complained about the punctuation and grammar in this book. I didn't find the punctuation or grammar to be horrible or distracting. Maybe that reviewer was an English teacher. Who knows. All I know is that I did like this story. It wasn't earth shattering or life changing for me. But I enjoyed it. 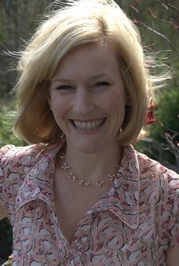 Tess Hardwick is a novelist and playwright. She has a BFA in Drama from the University of Southern California. 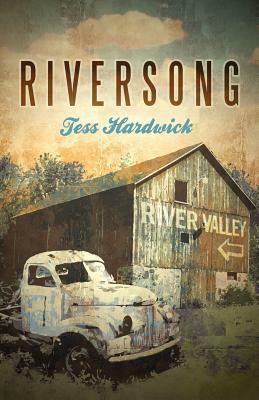 Like her main character in Riversong, Tess is from a small town in Southern Oregon. She currently lives in Snoqualmie, Washington with her husband, two small daughters and a teenage stepson. She is inspired daily by the view of the Cascade Mountains from her home office window. She was an active member of the theatre community in Seattle as an actor and director during the late nineties. In 2000 she wrote her first full-length play, My Lady’s Hand which subsequently won the 2001 first place prize for new work at the Burien Theatre. A voracious reader, Tess’s favorite thing to do is to curl up on a rainy afternoon and read a novel. She also enjoys movies, theatre, wine and food. She is fed emotionally by her friends and family and cherishes relationships above all else. Tess is busy working on her second novel, an historical fiction set in 1930’s Alabama that is based on a short story of her great-great grandmother’s. You can learn more about Tess by checking out her website.